Our Eclipse RCM specialists will transform your revenue cycle! Do you want to work with Eclipse reimbursement specialists? We use every feature, functionality, template and shortcut of Eclipse, to maximize your revenue, reduce collection time and accelerate your revenue cycle. We make process improvements to build a strong and sustainable revenue cycle that will enable you to maintain positive cash-flow, despite the seismic changes in the healthcare landscape. We have worked with all billing systems and PMS partners of Eclipse. So no matter which billing software or practice management system you work with. We can work with it effortlessly, to improve your bottom-line benefits! Know how we work with Eclipse to boost your revenue. Eliminate no-shows and messed up appointments. We schedule your appointments and send reminder alerts to patients through Eclipse. 10 reasons why you should call our Eclipse Expert today! Pre-built templates are frustrating to work with. You don't have to work like everybody else!  Our Eclipse billing experts create customized templates to speed up your workflow. We build upon existing templates in the templates library of Eclipse. Or create new ones in accordance to your needs. *Disclaimer:PracticeBridge INC is not an authorized Eclipse rcm vendor/rcm outsourcing partner or re-seller. We offer third party full service Revenue Cycle Management to Individual Practices, Clinics, Hospitals and ACO Organizations across United States. We have experienced teams to help you with EMR/EHR Implementation for billing,coding and collection functions.